Our staff members are experienced early childhood educators/ caregivers dedicated to the academic, emotional and physical well-being of every child. Susan’s focus is on maintaining high quality education in a state of the art facility, while providing a secure and nurturing environment. Ms. Susan has successfully owned and operated two other schools in the past. She is a graduate of Nova Southeastern University in Ft. Lauderdale Florida, with a Bachelor in Elementary Education, and an Associate in Arts and Science in Early Childhood Education. Ms. Susan also holds endorsements in teaching Gifted and Talented (GT) and English as a Second Language (ESOL). She has received awards for her involvement in multicultural projects with United Nations International Children’s Education Fund (UNICEF) and is an advocate of Prevent Child Abuse Texas (PCAT). Susan previously worked for the Texas Department of Family and Protective Services (DFPS) where she trained as an Inspector/Investigator for childcare centers. Ms. Susan Blanco lives in the Houston area with her family and is very excited about BridgePoint Academy’s innovative resources for all students to thrive academically and socially. 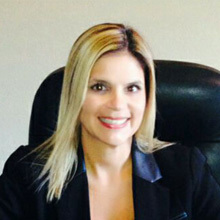 Mary Sanchez has worked in Childcare since 2001. She has worked as a Teacher, Assistant Director, Mentor and Trainer. Ms. Mary also worked at a shelter for minors where she was a direct care supervisor for children 10-17 years old. 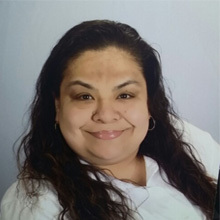 Ms. Mary received her Director’s credentials from the Texas Teacher’s Academy in 2010 and is licensed by the Texas Department of Family and Protective Services. Ms. Mary values every family and the partnership that is formed when you join BridgePoint Academy! She is the mother of two children, Christopher and Mariah and the grandmother of two precious little girls, Aniyah and Aaliyah. She says, “I understand the importance of having peace of mind while you are away from your children, which is why my number one priority is to ensure that your children learn and flourish in a safe, fun and nurturing environment”. 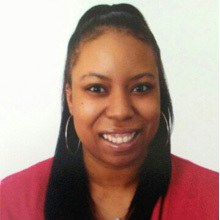 Ms. Victoria Ross-Parker has worked in childcare since 2004 and holds an Associate’s in Education. As the Assistant Director of BridgePoint Academy, her goal is to watch the children grow to their highest potential and create a warm, welcoming environment for both the parents and the children, one smile at a time. Ms. Victoria wants BridgePoint Academy to be a place where children can create fun memories and a strong educational foundation for their future. She is the proud mother of two boys, Amari and Easton. In her spare time she enjoys taking pictures and creating scrapbooks to capture fun everlasting memories. 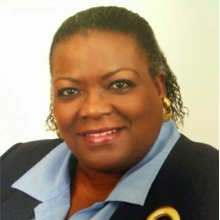 Jacqueline Collins is a seasoned Early Childhood Educator with over 20 years of experience and is a native Houstonian. She holds a Bachelor of Science from Texas Christian University and Directors Certification in Early Childhood. Her experience includes having worked as a administrator for (Rapha) a troubled teen education facility and she has worked as a caregiver for children in CPS custody. She has served in the capacity of Teachers, Administrator, Assistant Director, Director, Assistant Principal and Principal all in the Early Chilhood Education Field. Being a seasoned professional she agrees that "All children can learn". As educators and childcare providers we must tap into every child's potential. Incorporating a variety of teaching techniques and styles help children flourish and thrive.